It seems that the waves of change are not going to subside anytime soon. As AI and other advanced technologies permeate the workplace, flipping mindsets, learning new behaviours and skills and shaping organizational cultures are causing us to radically rethink work in ways that maximize the intelligences of both humans and machines. Leading companies are recognizing that these technologies are most effective when they complement humans, not replace them. There is also growing recognition that AI tools require human oversight. Many organizations lack readiness for this kind of impact and are not proactive in addressing the widening gap between AI and other emerging advanced technologies with the vital people factor. As humans and machines work together even more, connectedness, creative conversations and effective explanations will be at the very heart of collaboration between people and machines, as we move towards radically rethinking work. Closing the “readiness gap” – what can organizations do about it? This is an opportunity for organizations to not only develop strategic foresight, they can also develop a systemic and cultural advantage that maximizes human and machine potential in their efforts to adapt, compete and grow. Yet the Deloitte Global Human Capital Trends 2018 Report analysis of this “readiness gap” for this issue shows that, while 72 percent of their respondents see this area as important, only 31 percent feel ready to address it. Also, the impact of culture on business performance, is hard to overstate: 82 percent of the respondents to Deloittes 2016 Global Human Capital Trends survey believe that culture is a potential competitive advantage, yet so few organizations truly understand its potential to create & nurture superminds that can drive and deliver strategy through disruption. To stimulate business growth amidst high levels of disruption in operating environments, organizations are required to observe their environments, select, interpret and act on data, information and knowledge in their efforts to adapt and grow. For example: Amazon now has 100,000 robots in operation, which has shortened training for holiday workers to less than two days. Walmart recently deployed virtual reality technology to improve its in-store training and effectively simulate customer environments. Manufacturers such as Airbus and Nissan are finding ways to use collaborative robots, or “co-bots,” that work side by side with workers in factories. Today, there are also new data tools available to help leaders measure and manage culture toward alignment with and achievement of business goals. Leaders now have access to new high precision tools to identify both their organization strengths, as well as the hidden factors constraining their organizations growth ability. The OGI® (Organizational Growth Indicator®) is a 21 st century tool, vital for very business leader, because it identifies and provides tangible metrics of a “readiness gap”. It also identifies specific areas and what mindsets and behaviours, systems and processes need to be introduced or accelerated to drive and support lasting organizational improvement and performance, innovation, growth and sustain success. As AI and other advanced technologies permeate the workplace, our research indicates that there is a disconnect and even, a competitive element, between what organizations need to do to survive and thrive and what people are currently able to do. This is embodied in people’s mindsets, the crucial intellectual, emotional and visceral elements that enable people to be ready and receptive to change, facilitate and coach creative conversations, deliver effective explanations, make intelligent decisions and win in a VUCA world. What is a mindset? A mindset represents more how we think, it captures how we feel & how we act as individuals & as whole organizations. It is an active & dynamic expression of an individual’s culture & consciousness, in that it taps into their underlying values, beliefs & assumptions at play, within it. Why are mindsets important? Mindsets influence the way people seek to fulfil their purpose & strategic mandate, and capture how we connect with ourselves, how we think, feel, make choices & decisions, as well as on the behaviours & actions we take & the results we get. -Mindsets are unconsciously managed by our autonomic nervous system. -Mindsets are a key part of our personalities and are based on our belief systems. Mindsets shed light on a person’s unique active cognitive stylistic preferences, which shapes what they say & do, how they solve problems, set goals & make decisions – inside & outside of the “box.” What is an organizational mindset? All organizational types demonstrate preferred mindsets which are expressed in behaviours, systems & artefacts, all of which then impact on their ability to grow and transform. 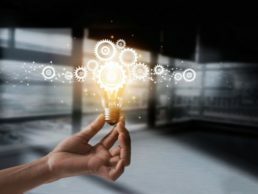 An organization’s set of mindsets about innovation and digitization will significantly impact on its ability to embrace and apply them as positive, productive & competitive levers in the face of disruption and VUCA times. The OGI® acknowledges and codifies the unique cognitive style that all organizations inherently have, which influence their approach to growth and transformation. Leading companies increasingly recognize that these technologies are most effective when they complement humans, not replace them, through creating superminds, groups of individuals acting together, with machines, in ways that seem intelligent. Which of course, also requires the redesign of mindsets, behaviours and skill sets, and how people engage and collaborate with machines, one another, teams, customers, and with their ecosystem partners, and culture is the glue that binds all of these disparate and complex elements together as we radically rethink work in the 21st century.